Oklahoma Children's Theatre is proudly located on the campus of Oklahoma City University, located along NW 23rd Street, between Pennsylvania Ave. and Classen Blvd. 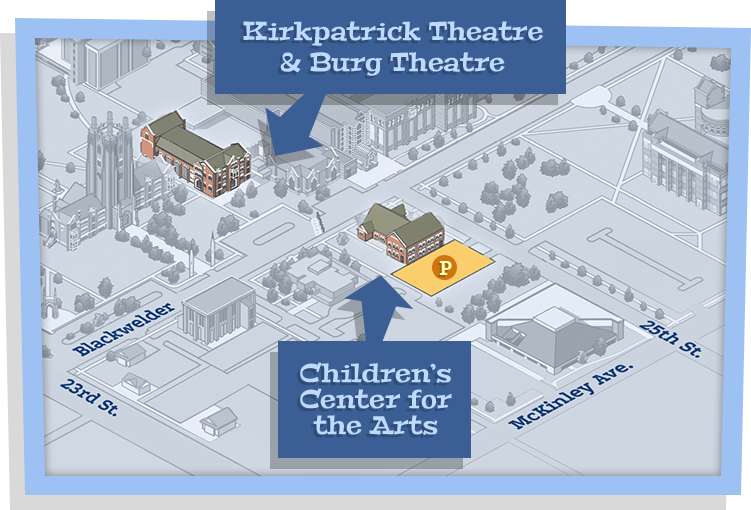 We stage productions in the Children Center for the Arts Theatre, as well as in the Burg Theatre, and the Kirkpatrick Theatre, both of which are located in the main university Kirkpatrick Fine Arts Center, located across the road from our main building. View the specific theatre information for each production on our Upcoming Season page, or by calling the box office.